Six plaintiffs who filed a joint lawsuit against Johnson & Johnson regarding the defendants’ Pinnacle hip implant recently received notice that the federal judge presiding over the case had entered a judgment of $246.1 million in their favor. The plaintiffs had presented their case during a bellwether trial. Bellwether trials are initial trials held in a multidistrict litigation (MDL) that are intended to help all involved parties assess how juries will respond to key evidence and testimony. The MDL centralizes federal cases with similar allegations and statements of fact. It is pending before U.S. District Judge Ed Kinkeade in the Northern District of Texas. Thousands of lawsuits have been filed against the makers of metal-on-metal hip implants, such as the DePuy Pinnacle device. The plaintiffs claim that the devices are defective in design and manufacture, that they fail prematurely, and that they need to be taken out and replaced during revision surgeries. 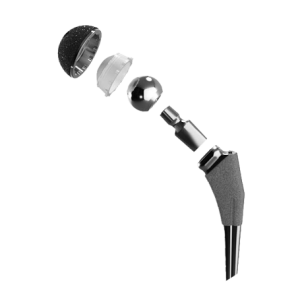 Specifically, the hip implants are said to increase the risk of tissue necrosis, bone erosion, hip and groin pain, metallosis, and loosening of the device. Originally, the plaintiffs in this particular lawsuit were awarded $247 million. The jury award was handed down in November 2017. The jury determined that the defendants knew about the potential risks involved with the DePuy Pinnacle hip implant, yet failed to warn patients and doctors. The jury awarded a combined total of $79 in compensatory damages, plus another $168 million in punitive damages. Punitive damages are intended to punish defendants for particularly egregious or reckless behavior. Early in September 2018, Judge Kinkeade entered the individual judgment amounts. Karen Kirchner was awarded $48.6 million, Hazel Miura was awarded $43.7 million, Ramon and Carole Alicia were awarded $39.8 million, Uriel and Aviva Barzel were awarded $39.4 million, Michael and Audra Stevens were awarded $37.8 million, and Eugene and Yolanda Stevens were awarded $36.8 million. The damages include compensatory damages for past and future pain and suffering, past and future medical expenses, and punitive damages against plaintiffs Johnson & Johnson and DePuy Orthopaedics, Inc. It is typical of cases joined to multidistrict litigation proceedings to have a fair chance of being settled following the resolution of the bellwether trials. However, Johnson & Johnson has indicated a preference for having the thousands of cases still pending remanded back to their home districts for trial, suggesting that they do not intend to pursue settlement negotiations. Additionally, the defendants have indicated that they will vigorously pursue post-judgment motions and appeals in an effort to reverse the recent judgment. The defendants have argued that new trials should be granted, as they do not believe they are subject to the jurisdiction of Judge Kinkeade’s court. However, settling the remaining DePuy hip lawsuits would appear to be in the defendants’ best interests, given the recent substantial jury awards handed down against them. In addition to the recent judgments entered, in December 2016, a jury handed down a $1 billion verdict. This was later reduced to $500 million because of state limitations on damage amounts.